Many people wonder if hybrid vehicles and tint is a good mix. The answer is ABSOLUTELY, YES! This page will explain why. Due to the high price of gasoline in many parts of the world, hybrid vehicles and window tint have seen a rise in popularity. Why is that? First of all Hybrid vehicles and plug ins have offered an alternative to the high cost of fuel by operating primarily on battery technology. Such vehicles as the Toyota Prius, Honda Insight, and Ford C-Max have seen a rapid rise in popularity. These vehicles typically can travel a good distance on a single charge before the small gasoline kicks in to recharge the batteries. Secondly, Hybrid vehicles and tint were made for each other. Window tinting naturally cuts the heat to the interior of any vehicle. However, this benefit of window tinting is critical to owners of Hybrid vehicles. Window tint drastically cuts the amount of heat that penetrates the cabin of the vehicle as the car moves through the air. The reason? As the vehicle passes through the air, the heat is pulled away from the car by virtue of the fact that it is moving. Then the thin layer of window tint creates a barrier to the sun's rays, effectively cutting the amount of heat that passes through the windows and into the car. If Nano Ceramic window film is applied to the windows of a Hybrid vehicle the impact is dramatically increased. All of this combines to reduce the drain on the batteries and lengthen the time between charges and thereby increasing fuel economy. If the owner elects to have ceramic film installed on all the glass - including the windshield - the effect is increased even more! Well, think about it. 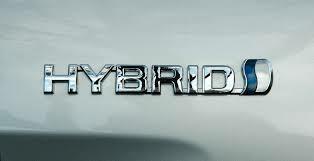 Hybrid vehicles operate using battery technology. Batteries can be drained rather quickly depending upon the amount of load placed on them. Now, think about the amount of heat generated by the sun passing through the glass into your car. Anything that can reduce, (and in most cases, GREATLY REDUCE) the amount of heat passing through those windows will have an instant impact on the life of the batteries. It stands to reason that since window tint can reduce the heat in a vehicle, the air conditioner will not work as hard. If the air conditioner is not working as hard, the batteries are not being drained as fast. Cooler cabin = Happy owners! Obviously then, it is apparent that Hybrid vehicles and tint are a match made in heaven! What should I have installed? DT Services Window tinting recommends Ceramic window film as the overall benefit to the vehicle is enhanced with it in comparison to normal dyed polyester films. We also suggest that ALL Hybrid vehicle owners consider window tinting the windshield with a very light 70% (nearly clear) Ceramic film. Reason #1 to tint the windshield... CANCER! 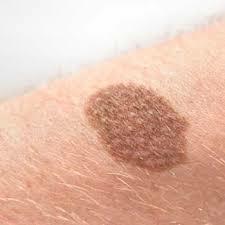 Skin cancer! That's right, skin cancer is the best reason to tint the windshield of any car. The Skin Cancer Institute is on record as stating that window tinting will definitely reduce your risk of developing various forms of skin cancers. With a SPF equal to a sunscreen of 285, window tinting will go a long way to protect you and your family from the harmful damaging rays of that big bright ball in the sky! Car interiors in the summer can be brutality HOT which places undue stress on the air conditioning system to perform under grueling conditions. Most can't keep up. The windshield is the single most magnifier of the suns rays that pass into the cabin of any vehicle. Not tinting the windshield is like doing half the car and expecting full results as if the whole vehicle was wrapped in tinting. Does that make sense? If you apply a Ceramic film to the front window, the burning rays (IR) will be blocked along with UVA and UVB making for a more comfortable ride. Installing a very light Nano-Ceramic film to the windshield fixes this issue. Hybrid vehicles and tint go together like apple pie and ice cream. But don't take our word for it. Come in to our shop and see how dramatic a difference Nano Ceramic film can have in comparison to color stable dyed window films. We believe that once you see the difference you will want to protect your vehicle (batteries and occupants) with the best window film on the market... Nano Ceramic film.